Educators across the country are taking note: Research shows that instilling and encouraging positive character strengths, such as kindness, compassion and perseverance, can be as important to our children as the basics of learning math and reading. When we choose to teach our students about happiness, we become the catalyst for positive change in ourselves and others. 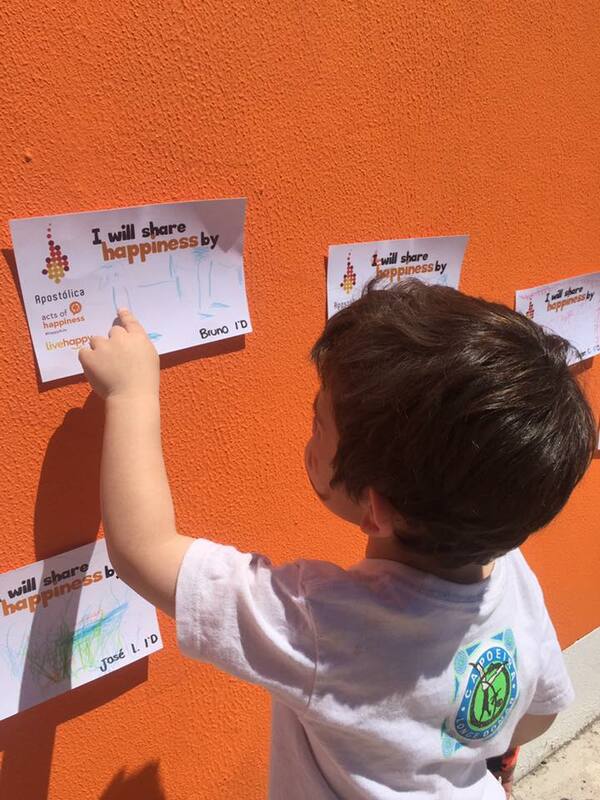 Your school can help make an impact on children’s lives by creating a Happiness Wall or performing #HappyActs. This is a fun, easy way to focus on positive traits, engage kids in a fun activity and become part of the global movement. Invite students to join in fun activities throughout the month of March. #HappyActs provide kids with joy and fulfillment through everyday acts of kindness. Download these 4 lesson plans and the corresponding homework assignments specifically created for elementary school students. Each lesson explains a specific theme and offers a classroom lesson and fun activity. What is the International Day of Happiness?